Preheat a 10" omelett pan to medium-high. Spray with cooking spray. Beat egg whites. Add to pan. Cook until egg is nearly set. Add other ingredients to one side. Flip other side of egg over. Slide onto a serving plate. Use a generous amount of cooking spray on the pan. 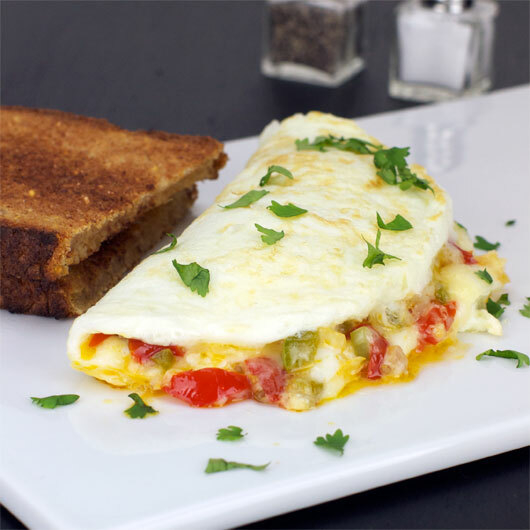 Egg white omelets have a tendency to stick more than regular omelets. 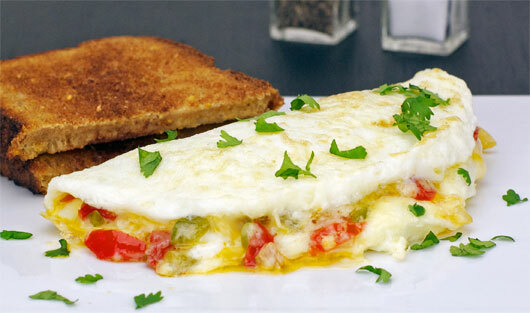 To assure that the egg white set completely, cover the pan as soon as you add your fillings and fold. Turn off the heat and let it set for 2 minutes. 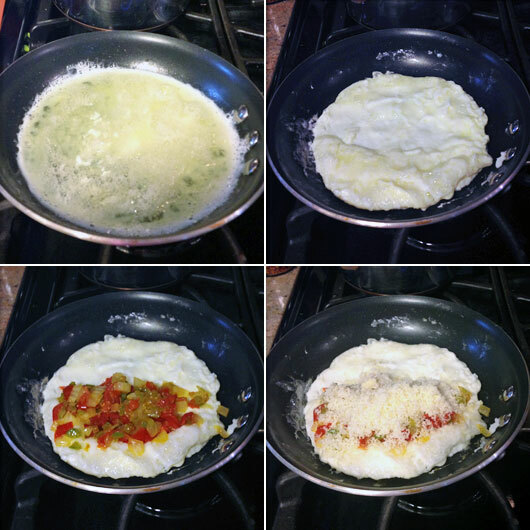 The omelet in the pictures is filled with diced onion, green pepper and tomato (about 2 teaspoons each) that were sauteed in a little olive oil for 5 minutes. It also has about 2 Tablespoons of shredded Cheddar cheese. Mr Breakfast would like to thank gregthebody for this recipe. Recipe number 1478. Submitted 5/25/2005.